A great way to spend your spare time this summer is the great Dartmoor otter hunt. Not the living breathing furry creatures, but a hundred three-foot-tall statues that have been painted by mostly local artists. Moor Otters is the first major public art project in a UK National Park and is generating a lot of excitement in South Devon. The otters were all together in one room at the launch event at Bovey Castle on 23 May 2017 and they looked pretty stunning. 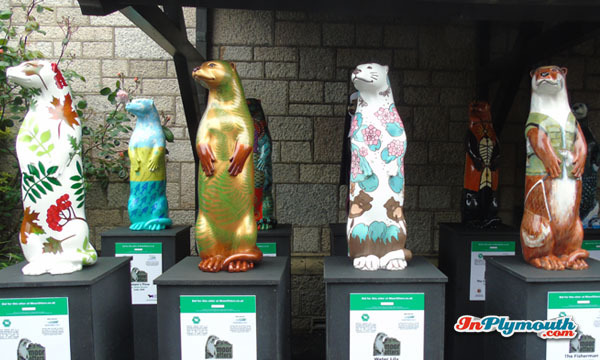 The artists pulled out all the stops to make their individual otters works of art that are full of character and fun. The variety of designs is astonishing: from polka dots to geology layers, from fish to wild flowers, from horses to sushi, and from a superhero otter to a nun otter. Why otters? The otter was chosen because it is one of Dartmoor’s indigenous species, that almost disappeared from the Park but is now strengthening in numbers. After being all together in one room for the launch, the otters have now scampered to various locations all over Dartmoor, including Tavistock, Okehampton, Ivybridge and Newton Abbot. Dartmoor National Park, the organisers of the Moor Otters trail, are also running a competition. All you have to do is find twenty of the otter statues and write down their special identification numbers (found on a plaque near each otter) and enter the details onto the form in the Otter Trail Guide (available from anywhere there is an otter statue) and hand it in to one of the Visitor Centres at Haytor, Princetown or Postbridge. The draw will take place on 20th October 2017 and there is a great selection of prizes, including a cream tea, a family cinema ticket and a hotel stay. 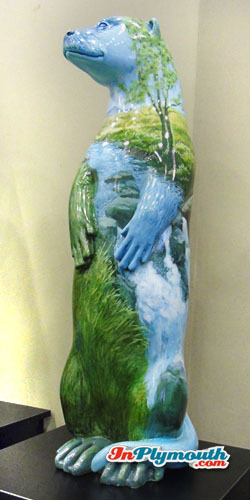 At the conclusion of the project thirty of the otters are to be sold at a live auction and bids can be made online now. 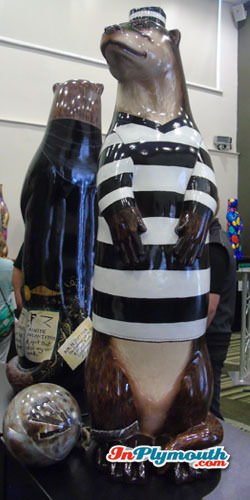 The remaining seventy otters are expected to be bought before the auction. 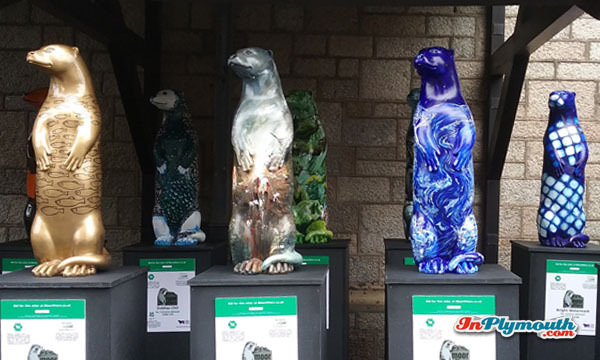 If you would like to bid for or adopt one or more of the otters, then you should contact dave@moorotters.co.uk. Bids are expected to raise £100,000 and all money raised will benefit Dartmoor National Park, where the money will be very well spent preserving this beautiful area. To help you find the otters, an interactive map is available on the Moor Otters website, which can be found at moorotters.co.uk. The great otter hunt will take locals and visitors to a great variety of locations, some of which they might never have visited before. We predict that otter spotting is going to be a popular activity on Dartmoor this summer. The InPlymouth team have already located a couple and we are looking forward to seeing how many others we can track down and photograph. Public art trails are becoming increasingly popular across the UK. Many cities have already created trails that have been massively successful. 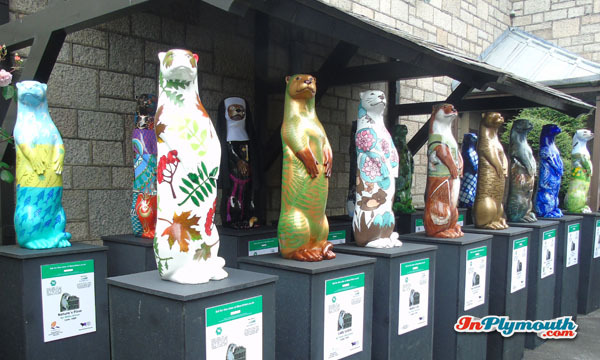 2010 saw the Lions of Bath trail raise £65,000, Bristol had a trail of gorillas in 2011 which raised a stunning £427,000, Plymouth’s Sunfish Trail in 2014 (see the photos of the Plymouth Sunfish Trail) raised over £12,000, and Paignton Zoo held the Great Big Rhino Project with their trail of 42 rhino sculptures in 2016 which raised £123,000. Dartmoor’s Otter Trail hopes to raise around £100,000 – let’s hope they beat their target. What they all have in common is that they are very popular with the public, provide great opportunities to promote appreciation of art, raise money for great causes, and are sure to get you out and about. We can’t think of a better location than the stunning Dartmoor National Park for this trail with Plymouth as the jumping-off point for all your Otter Spotting. Get spotting and be sure to share your photos with us on the InPlymouth Facebook Page.